LEX Scientific provides a variety of services for identifying and characterizing the materials in particulate matter, deposits, residues and surface samples. Many industries rely on optical characterization to determine the composition of unexplained residues and to troubleshoot and resolve a variety of air quality, contamination and degradation issues. We work closely with our clients to determine the right analytical techniques and methods to fulfill specific project objectives. 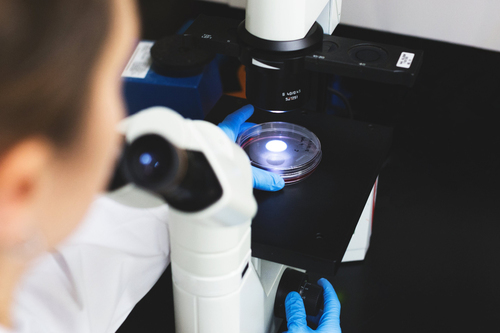 Our knowledgeable team uses optical analytical microscopy including dark field, bright field, phase contrast and polarized light microscopy to provide a calibrated visual estimate of sample composition, structure and properties. We have the capability to analyse liquids, powders, solids, and multi-phase samples. Additionally, we employ other qualitative and quantitative testing methods including Scanning Electron Microscopy (SEM) and Energy Dispersive X-Ray Analysis (EDX) if required to gather a fuller picture of the type of materials present and their properties. We can offer you high quality, reliable results and expert interpretations. For more information about how we combine optical characterization, particle size distribution analysis, and water quality analyses to troubleshoot filtration problems and determine the type and size of filter required, visit the Water & Air Filter Testing section of our website.